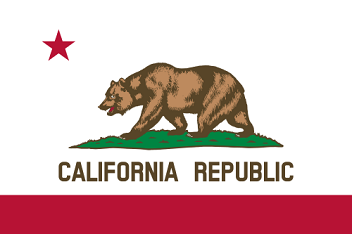 The State Flag of California features the famous grizzly bear and the red lone star. It serves as a symbol of honor, heritage and regional pride and is displayed at state buildings. The California State Flag is also flown on national and state holidays and on any other days proclaimed by the governor. There is a strict Order of Precedence for flags. State Flags are displayed in order as they entered the Union. Car Flags are often displayed to represent of an individual's allegiance to their state. California State car flags are used by their owners as mobile emblems of their home. Car flags are usually made from strong materials and are attached to a car via a pole and clip window attachment. What is the design of the California state flag? What does the red star mean or symbolize? 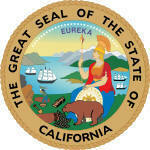 The red star is a a symbol of the California "Lone Star Republic"
What does the bear mean or symbolize? In heraldry the bear symbolizes strength and bravery and the bear is the emblem of ferocity in the protection of kindred. What is the shape and ratio? The 'Hoist' is the width and the 'Fly' is the length. Who designed the California State Flag? What is the history of the California State Flag? The California state flag is kept and used as required by the code specified in the constitution of the state. Alta California (which means Upper California in English) was a province and territory in the Viceroyalty of New Spain and later a territory in independent Mexico. The American settlers launched revolts against Mexico in 1836 and 1846. The Lone Star Flag of California contained a single red star on a white background. 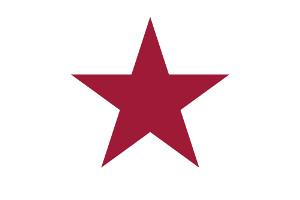 The distinctive red five-pointed star first appeared in Monterey on Alvarado's California Lone Star Flag. Juan Alvarado and Isaac Graham led the first revolution against Mexican rule in 1836. During the first revolt the rebels captured Monterey and declared California "a free and sovereign state". Their first rebellion failed to secure independence for California but it inspired the design of the flag used in the Bear Flag Revolt that followed. The Bear Flag was the original flag of the California Republic and flown during the Bear Flag Revolt which was proclaimed on June 14, 1846. The Bear Flag Revolt, again led by Juan Alvarado and Isaac Graham, relates to a revolt by American settlers (called the 'Bear Flaggers') in the Mexican territory of Alta California against Mexico. The Grizzly Bear Flag was designed and made by William L. Todd, who was the cousin of Mary Todd Lincoln, who became the wife of future American president Abraham Lincoln. 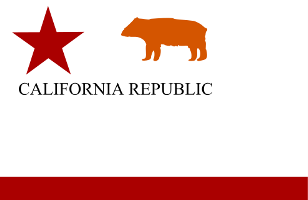 The main objective of the Bear Flaggers was to make California part of the U.S. and the republic merged with America. For additional facts refer to California Republic Timeline.